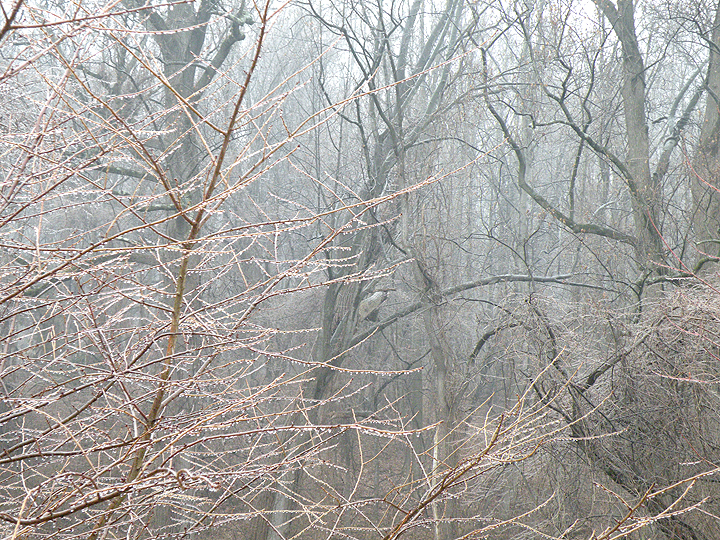 I woke up this morning to the sound of freezing rain falling into the trees in the woods behind my house. Since my children had a two hour delay for school, I suddenly had the urge to make pancakes. I have an amazing go to recipe that is so easy to make and very versatile if you want to add blueberries, chocolate chips or whatever flavors you like. 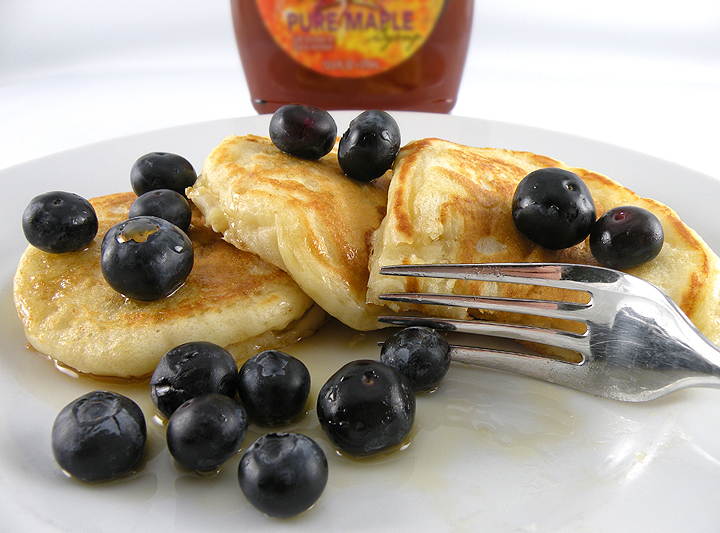 My kids like their pancakes plain with blueberries on the side and I like them with pure maple syrup. Step 1: Whisk Dry ingredients together in a large bowl. 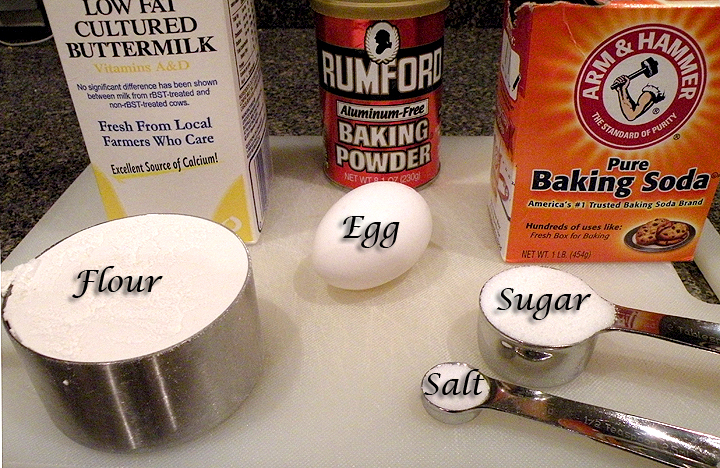 Step 2: Mix buttermilk and egg together in a separate bowl. 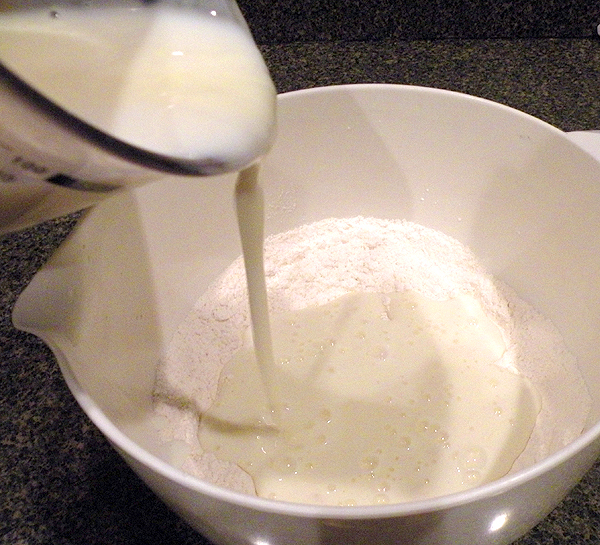 Step 3: Pour the buttermilk mixture into the flour mixture and mix gently. Do not over mix. 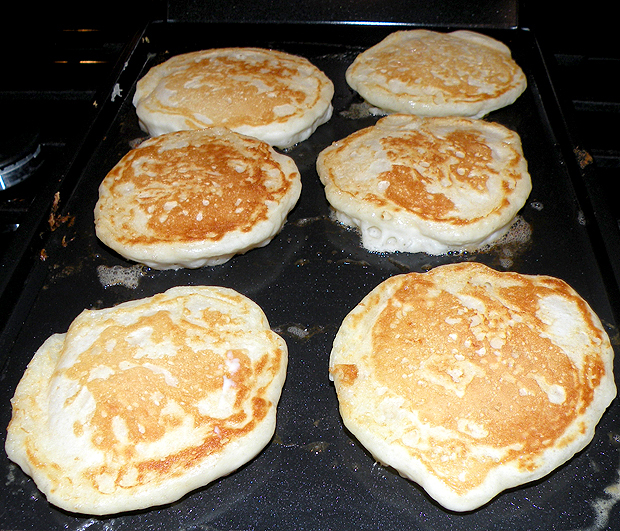 Leaving a few small lumps will cause the pancakes to be fluffier. 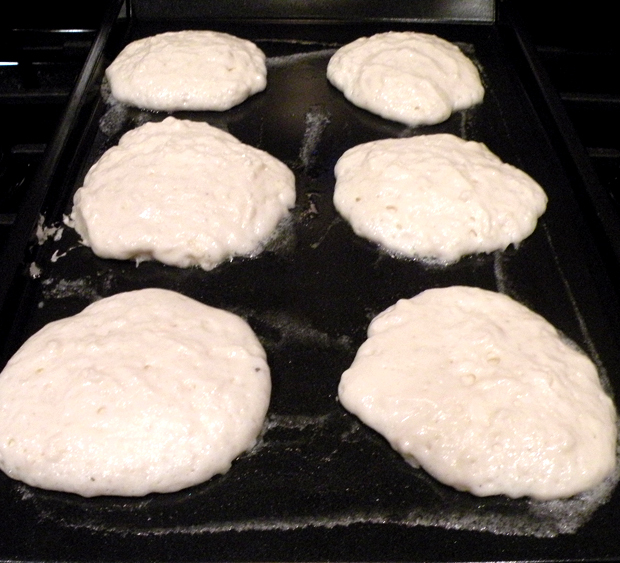 Step 4: Heat a griddle or nonstick skillet over medium heat. 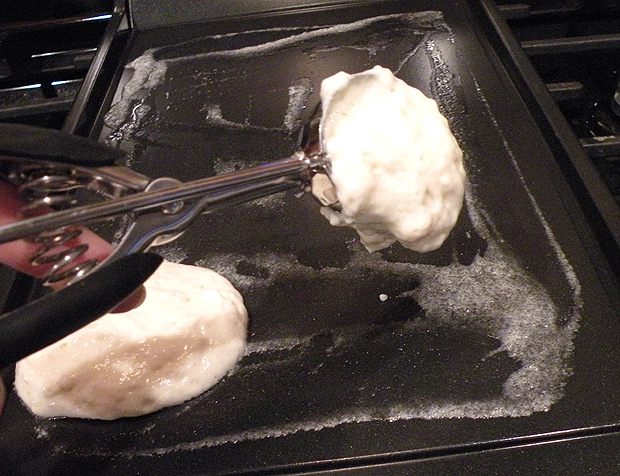 Melt a small amount of butter the pan and scoop batter into the griddle with a cookie scoop. Step 5: Cook until large bubbles appear and flip. Step 6: Cook the other side about 2 minutes or until done. Step 7: Serve warm with blueberries and pure maple syrup. 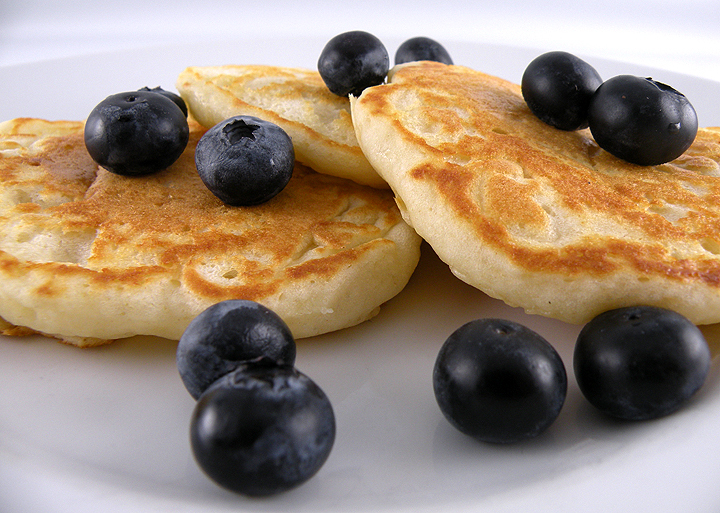 This entry was posted in Food and tagged blueberries, Blueberry pancakes, breakfast, brunch, buttermilk, buttermilk pancakes, cooks illustrated, pancake recipe, pancakes. Bookmark the permalink.